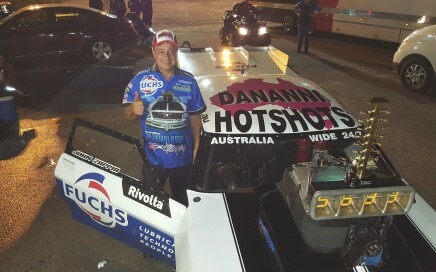 A mixed weekend at Queensland’s Willowbank Raceway has seen John Zappia predicting a Pro Slammer championship that may well come down to the wire later this 400 Thunder season. 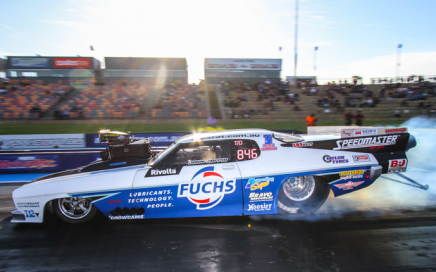 Zappia took two wins from three rounds as part of the New Years Thunder event on Saturday, but a wild run in round two saw the Fuchs/Dananni Hotshots Holden Monaro cross the centre line and give up a potential final round place against eventual winner Paul Mouhayet. Changing track conditions proved a challenge for the team, who tested positively before the event before taking on race day. “We started off a bit too stout in testing, taking some timing blocks out on out first run after going 3.76 to half track,” Zappia explained. 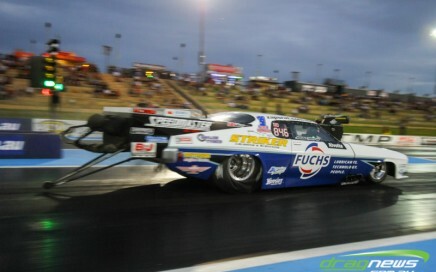 Zappia took on Paul Cannuli for round one and made it through for his first win light of the day. Zappia next took on relatively new Pro Slammer racer Emilio Spinozzi, whose consistency has been paying dividends. 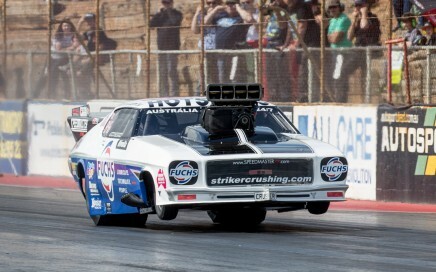 The track conditions were tricky as Zappia searched for the right path down the famous Willowbank Raceway quarter mile. “We did all our testing in the left lane but on race day we found there were a lot of bald spots (areas of thin or no rubber) near the start line so lane choice for most teams seemed to be the right lane. We had to stage the car carefully to make sure we had the optimum path of rubber. 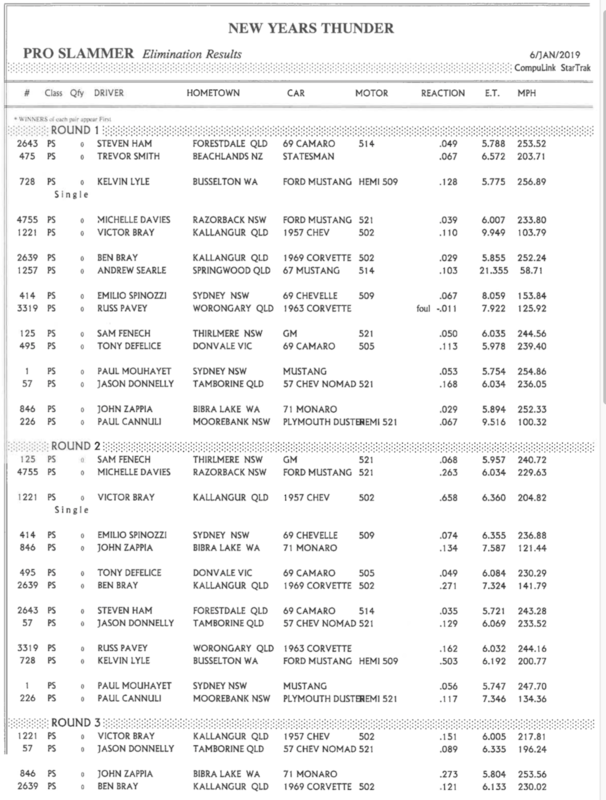 Disappointed to give up the win, Zappia had to regroup for the third round against old nemesis Ben Bray. With a 39 point deficit to Mouhayet, Zappia knows there is much work to do in the final three rounds of the 400 Thunder Pro Slammer Championship. 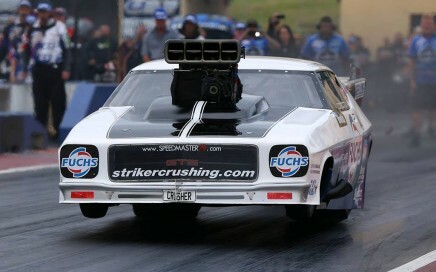 The Fuchs/Dananni Hotshots team next head to Sydney Dragway for Santo’s Summer Thunder on January 18 and 19. 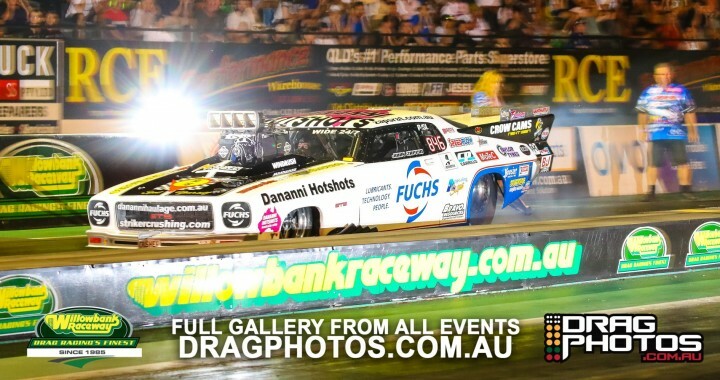 Zappia commended Sydney Dragway’s track preparation at recent events and says even in the heat, the times will likely be quick. “We would love nothing more than a race track where we can run a string of 5.60s. It’s only a matter of getting this car to go down the track without needing a pedal. Zappia also wished to pass on his best wishes to fellow Pro Slammer racer Kelvin Lyle, who had a nasty accident during racing.